Compact business. Full connectivity, almost 8 hours of battery runtime, perfect input feedback and a noble aluminum-magnesium chassis. 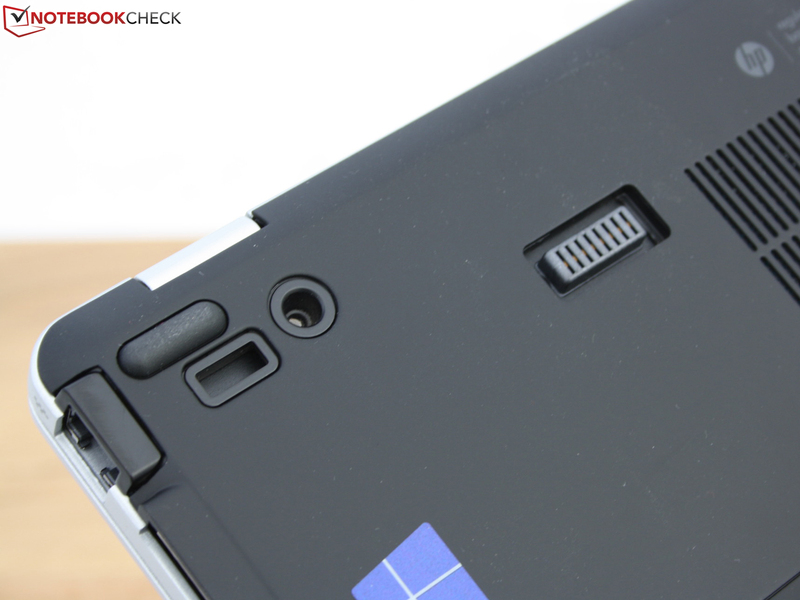 A challenge for the Lenovo ThinkPad X1 Carbon and the gathered premium ultrabooks? 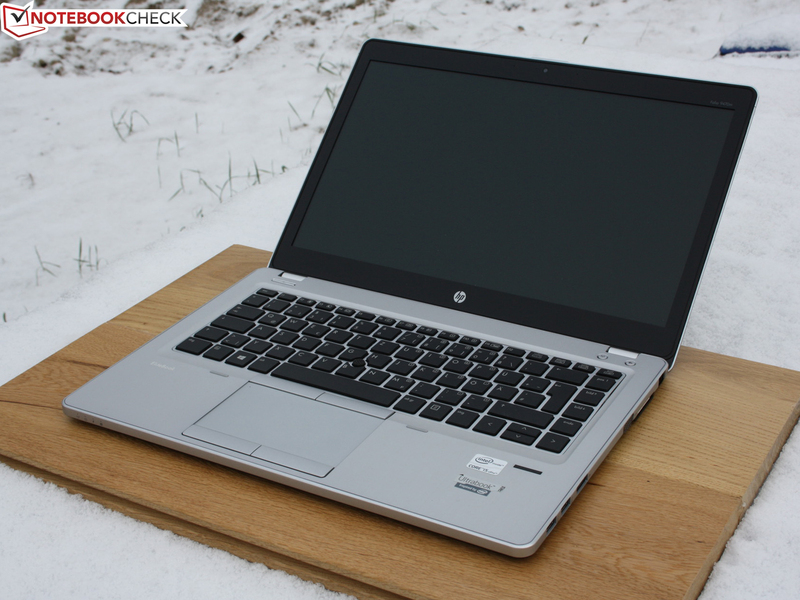 HP EliteBook Folio 9470m (H4P04EA) Smart, steadfast, lightweight and well equipped – the perfect business ultrabook? What the compact car is to the car industry, the 14-inch class is to the mobile computer. 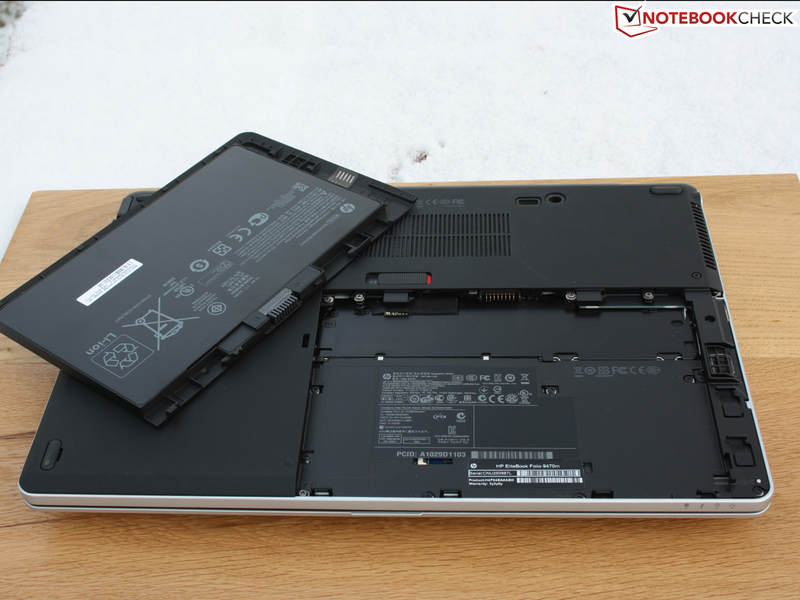 For Lenovo the T-series devices were the ultimate business tools in this form factor (T430, T430s, T430u). The form factor seems so lucrative that Lenovo created a luxury version next to the work-horses with the ThinkPad X1 Carbon. The immediate competitors are the Lenovo ThinkPad T430s, the T430u, the ThinkPad X1 Carbon and the Dell Latitude E6430s. These are high-priced 14-inch business devices with many ports, the claim to be a fully adequate work tool and excellent build quality. 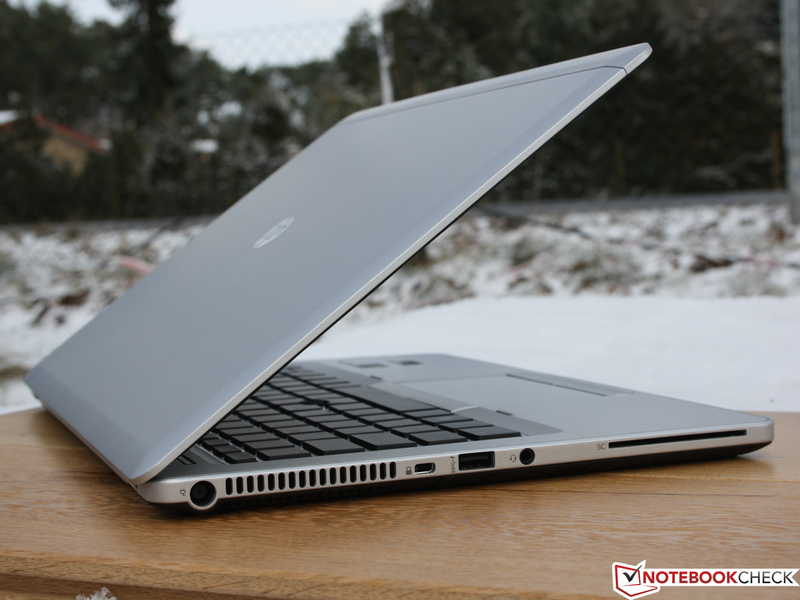 From the premium notebooks we also consider the Samsung Series 9 900X3C, the Apple MacBook Pro 13, the Dell XPS 13 (Late 2012) and the Asus Zenbook Prime UX31A. These 13.3-inch devices have fewer ports but are the benchmark when it comes to high build quality. A certain show-off factor plays a role with the latter. the stability of the al-mg body is perfect. 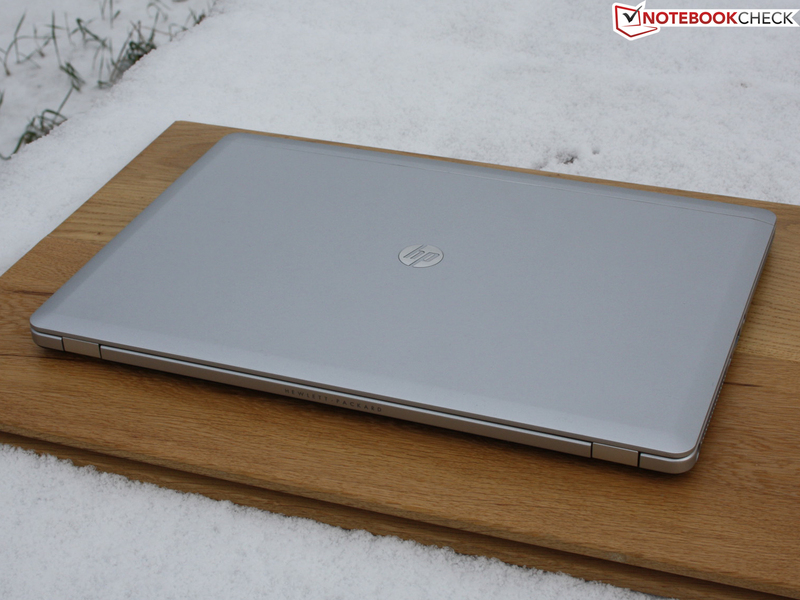 After the HP business ultrabook Folio 9470m was presented months ago, it took a long time before the device was available in online shops. Windows 8 was not the problem because Windows 7 Professional is still preinstalled. A Windows 8 recovery disk comes with the device. The wait has paid off. 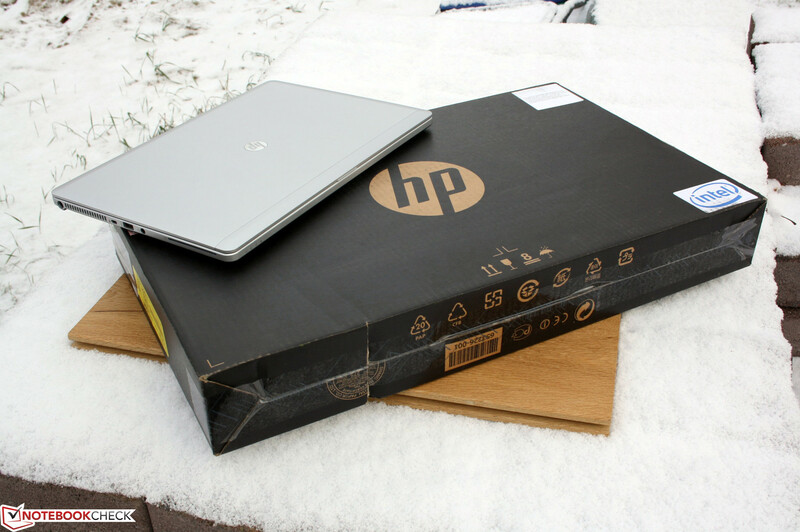 What comes out of the simple box is, with 1640 grams, just average weight and with a measured height of 23 millimeters (with feet), not as thin as ultrabooks can be (usually 15 - 20 mm). Well-equipped thin business devices like the non ultrabook Dell Latitude E6430s (2080 g) are only rarely lighter. The X1 Carbon (1347 g) makes an exception, the ThinkPad T430u (1900 g) or the ThinkPad T430s (1790 g) are almost as heavy as conventional 14-inch devices. 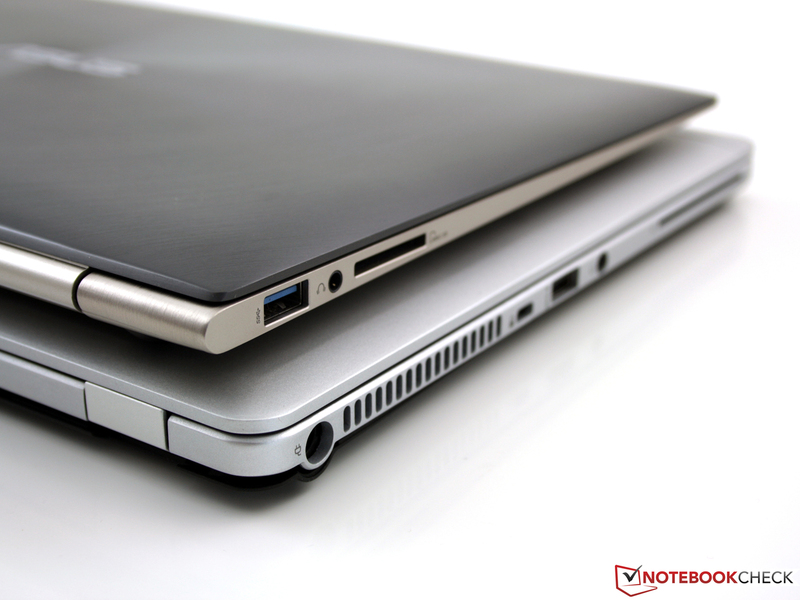 Only the noble 13.3-inch devices UX31A or XPS 13 (1400 g) are thinner and lighter, which comes with the form factor. 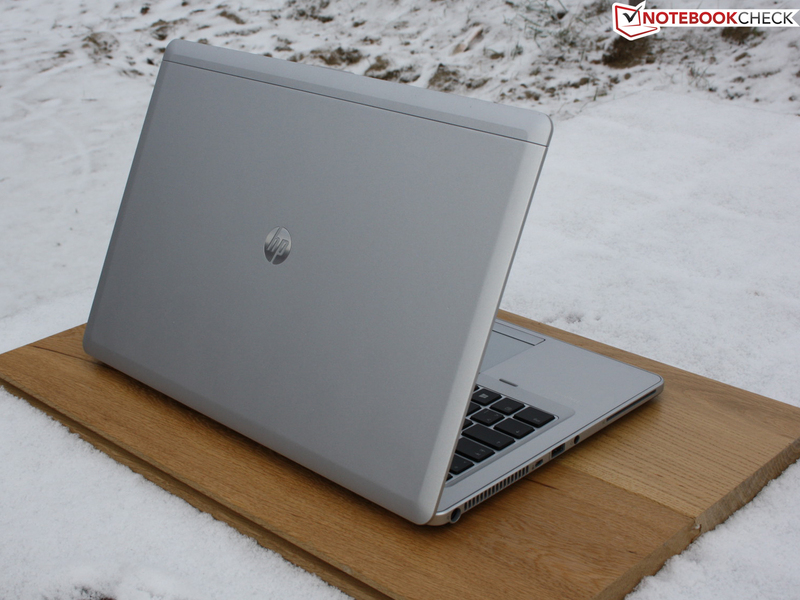 One thing is certain: HP has transferred the materials, the quality requirements and the stability of the grown up EliteBook siblings into the thin format, the concessions are acceptable. Because of that the weight is slightly higher compared to consumer ultrabooks. The base unit is not completely torsion-free as with an aluminum unibody. By grasping the right and left sides with both hands the base can be limitedly twisted. Nevertheless the chassis reaches a very good stability level when measured against the excellent maintenance capabilities. The bottom consists of three panels. The first one is for the removal of the battery and can be detached after pressing a slider. The other two covers can be detached after loosening a few screws. HP took great care with their anchoring. The rubberized magnesium material (grip) on the bottom snaps into stable hooks. The mechanics are very simple at the same time and even careless users will have a hard time to break anything (e.g. break off the hooks). 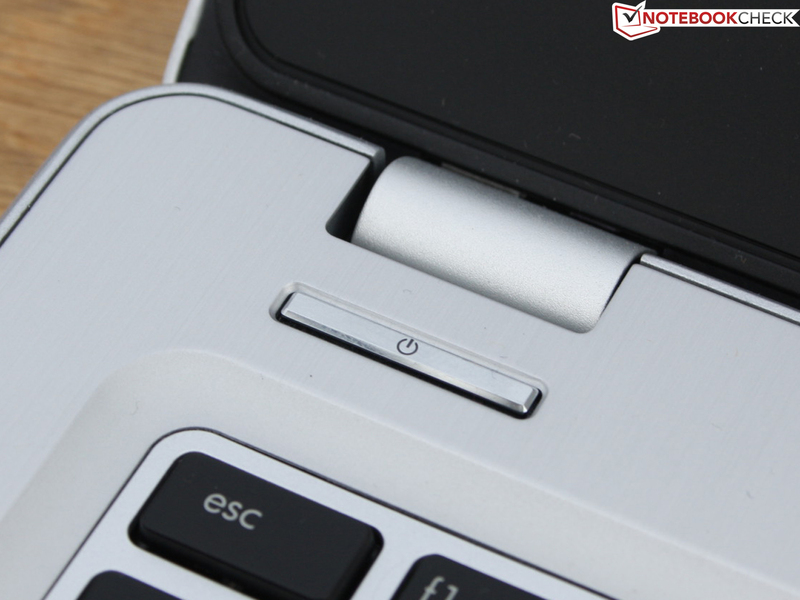 Whether it is the keyboard, touchpad, palm rest or bottom cover, nothing is denting. The hinges (full metal but not massive) keep the lid very firm and allow opening to exactly 140 degrees. In the process the lid slides a bit underneath the bottom cover, but does not get too close to the ground. 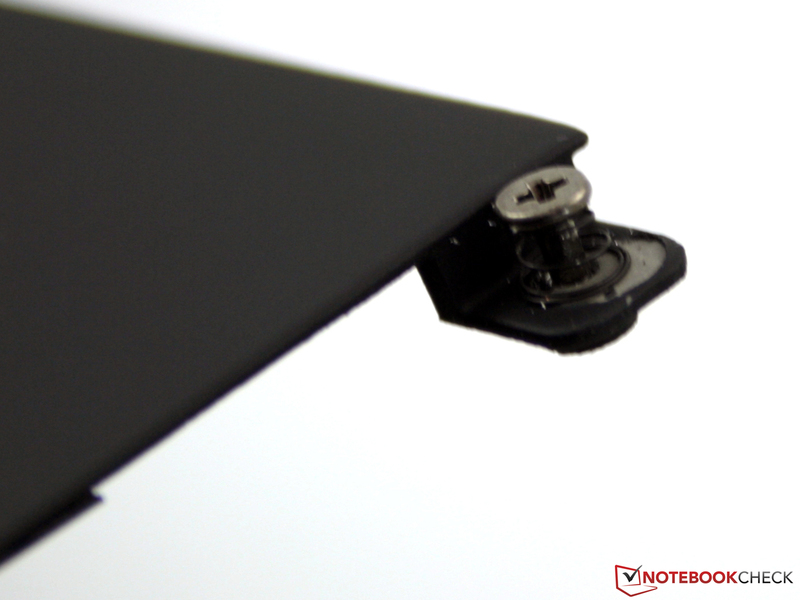 The lid is not as torsion resistant as we are used to from the beefy EliteBooks. The aluminum surfaces can be dented; the construction can be bent limitedly at the corners. The inside of the lid has a circumferential rubber lip that lays flush with the base unit. That way the lid can be closed with some force. 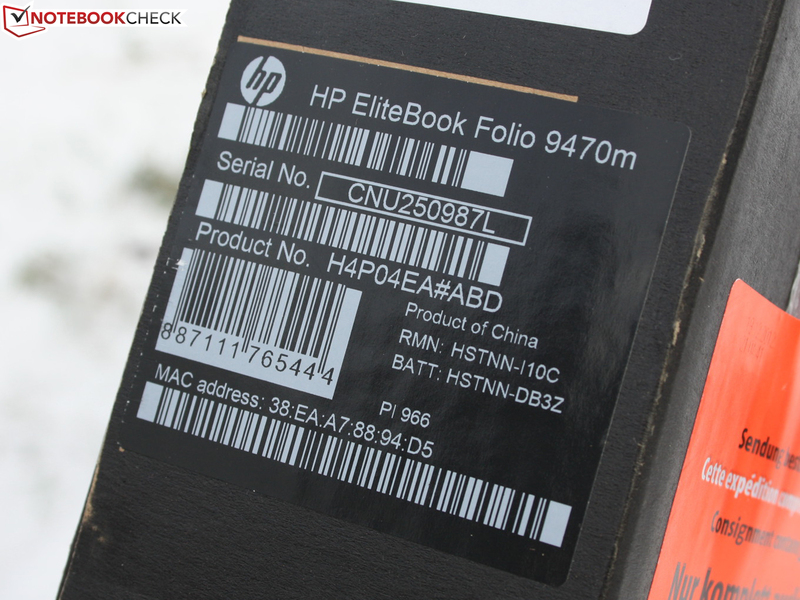 The Folio has no latches, a characteristic of the EliteBooks. A small edge at the top of the lid helps so that the opening does not get too fiddly. Noticeable with the Folio 9470m is its almost complete slight rubber coating. This soft-touch surface enables a good grip and prevents fingerprints. The side areas are not rubberized. All in all, the manufacturer offers a sturdy and high-quality 14-inch device that will survive rough business life even without a protective cover. 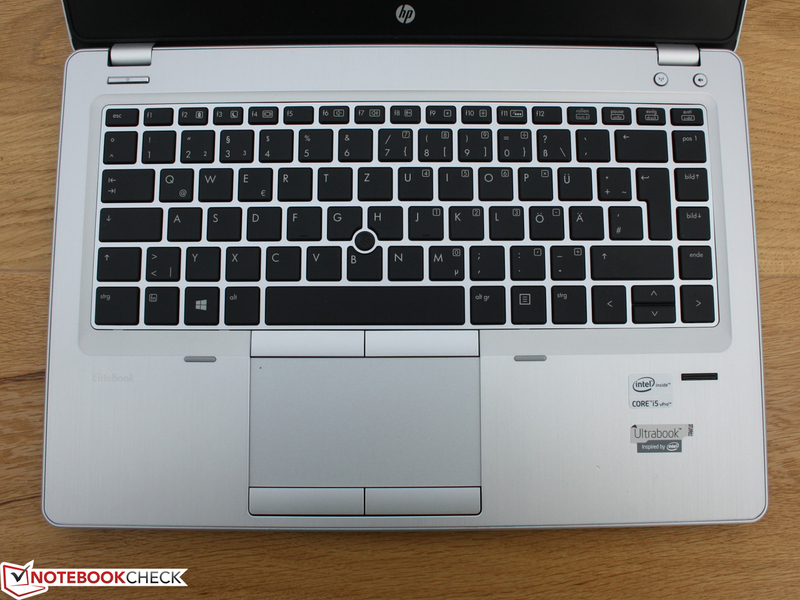 HP EliteBook Folio 9470m (H4P04EA): Just under 1550 Euros (~$2083) for the mid-level version is a lot of money. Do the components and build quality justify the price? No additional types of ports. 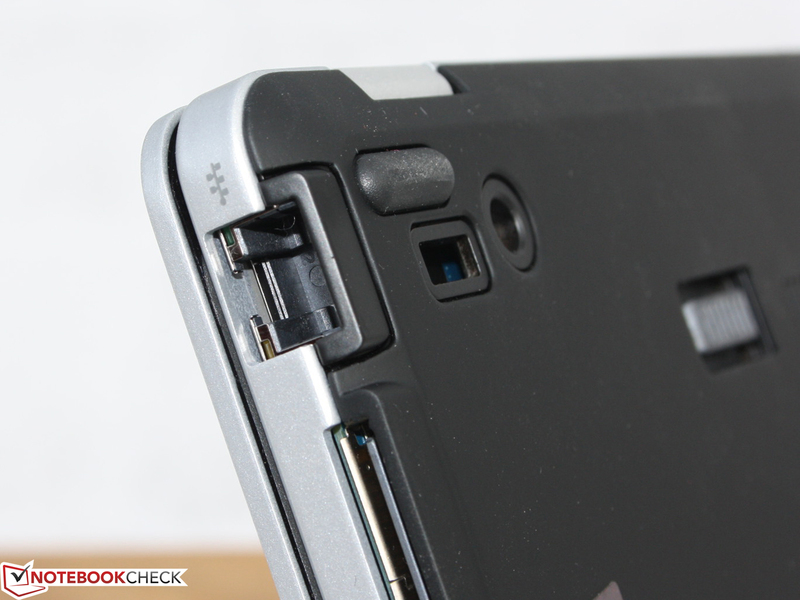 The ultrabook has no optical drive and that improves the stability and port selection. 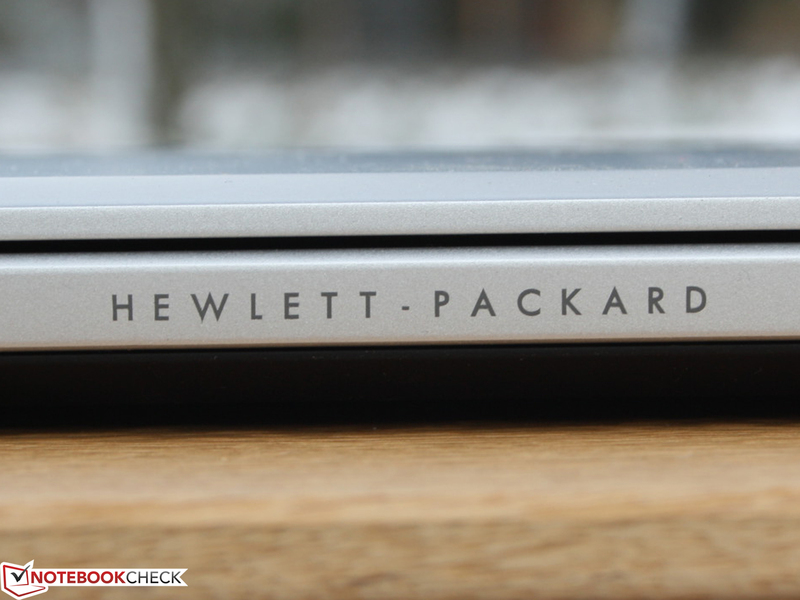 HP still equips its 12-inch devices (EliteBook 2570p) with an optical drive, which leads to a considerably more bulky case. The 9740m lacks HDMI but comes with a business oriented DisplayPort. Older monitors and projectors can be connected via VGA. This is anything but granted with ultrabooks. The immediate business competition is most suited to stand up to the comparison: Lenovo ThinkPad T430s (only VGA, docking port, Thunderbolt), ThinkPad T430u (Mini-DisplayPort, HDMI), ThinkPad X1 Carbon (only Mini-DisplayPort), Dell Latitude E6430s (HDMI, VGA, eSATA, docking port, ExpressCard34), Latitude 6430u (VGA, HDMI). The situation is completely different with consumer ultrabooks where the waiver is made into a virtue: Samsung Series 9 900X3C and 900X4C (Micro HDMI, Mini VGA), Apple MacBook Pro 13 (FireWire 800, Thunderbolt), Dell XPS 13 (Late 2012) (Mini-DisplayPort), Fujitsu LifeBook U772 (HDMI), Asus Zenbook Prime UX31A (Micro-HDMI, Mini-VGA). 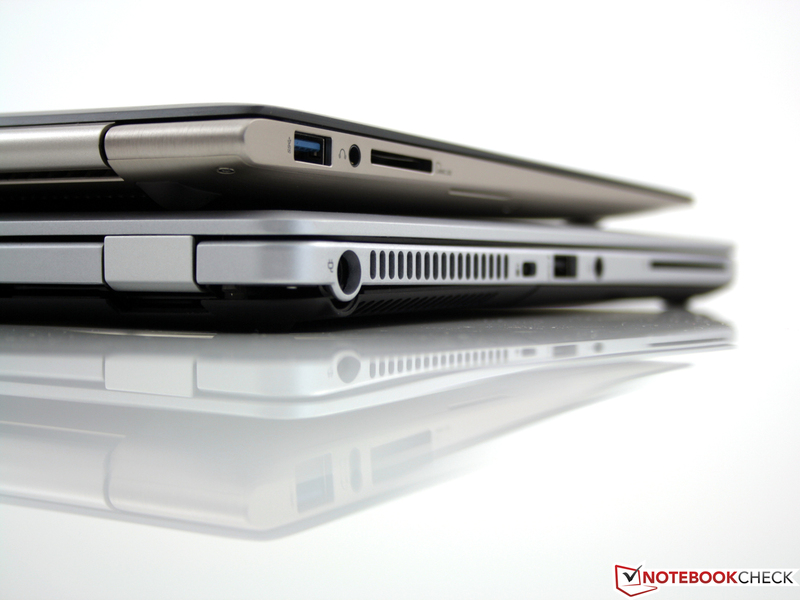 Perception: even with business notebooks the good old docking port becomes rare, only the Latitude E6430s and the T430s have one. 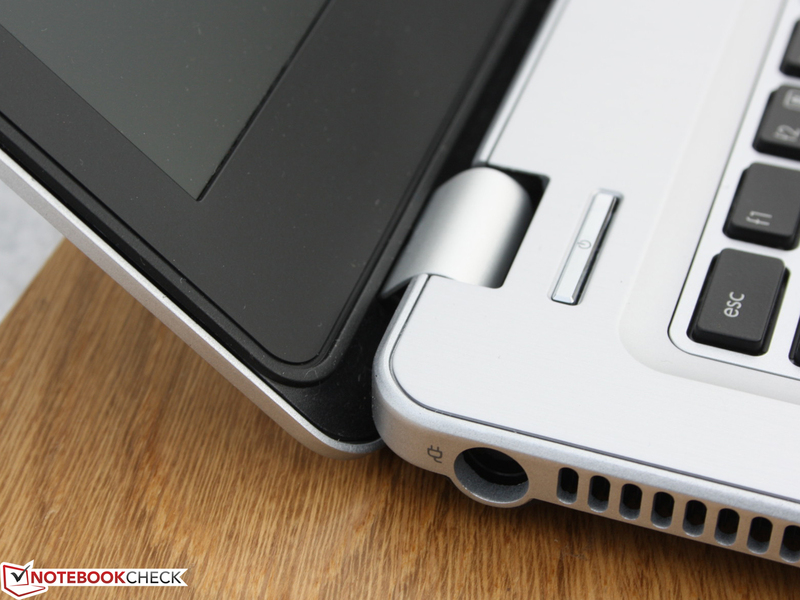 Speaking of docking: the Ultra-Slim docking station is compatible with the Folio EliteBook and only with the Folio. 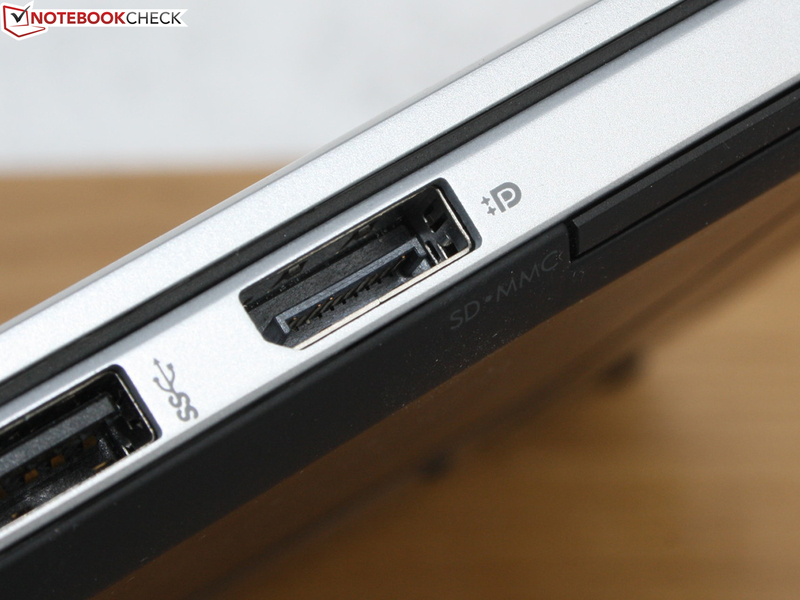 Unlike the non ultrabooks (docking port at the bottom) the docking connector is on the right side. 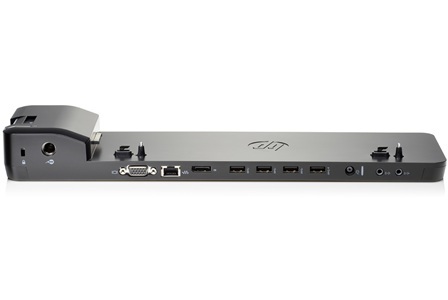 The docking station is available for 175 Euros (~$235) and multiplies the ports. However it brings no new types of ports. The most expensive version of the Folio 9740m is equipped with an HSDPA modem. Our unit is only prepared with antennas and a SIM card slot. The extra charge for the 3G version is low at 50 Euros (~$67). Considering the high price of the device we would have expected the modem as a standard feature. But that is not the end: Bluetooth 3.0, Draft-N WLAN and Gigabit-Ethernet are obviously mandatory. The high quality Intel Centrino Advanced-N 6235 manages very good coverage: the transmission rate with a 3 meter distance is excellent (5 bars), upstairs (10 m, 5 bars) and outside the house still good (15 m, 3 bars) to sufficient (40 m, 1 bar). The transmitting power of the router (Fritz!Box 7270) is reduced to 50%. A SmartCard reader can be used for the authenticated login. 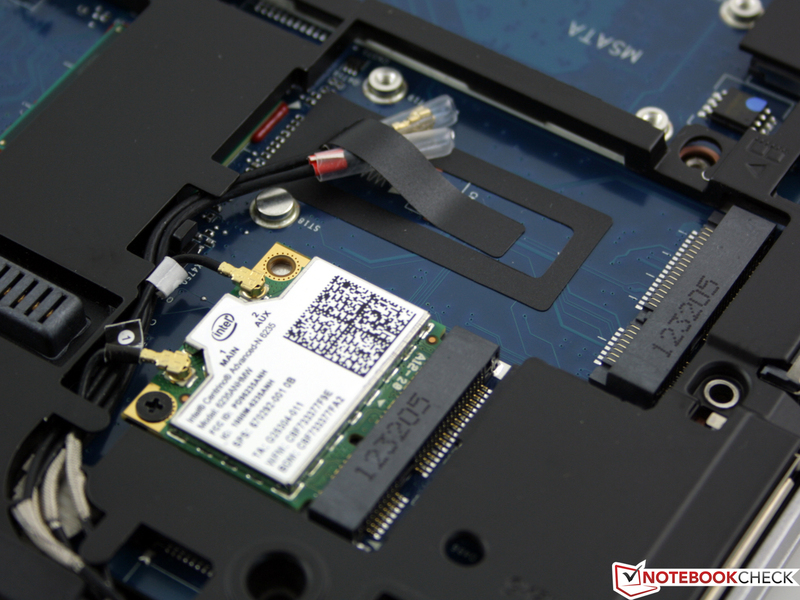 The Trusted Platform Module (TPM) enables the unique identification of the subnotebook in networks (also internet worldwide, for example the data encryption), the equipped Intel vPro-CPU allows remote maintenance. The security center consists of the protecting tools Administrator Console and Security Manager. Very detailed settings can be made with encryption, authentication or privacy. Like with all EliteBooks the BIOS provides extremely extensive configuration options for single devices and the security features. 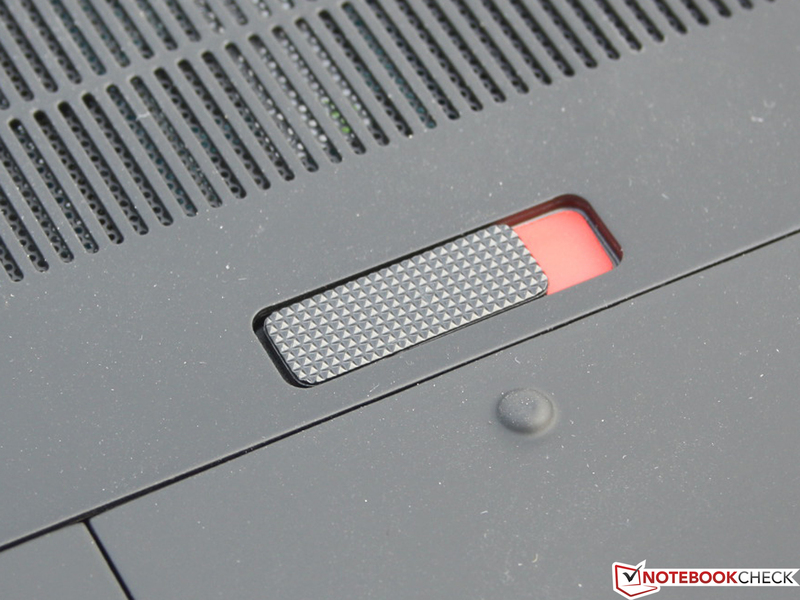 For instance, the "Fan always on when AC" can be comfortably deactivated with mouse control. The extent of hardware manipulation (e.g. 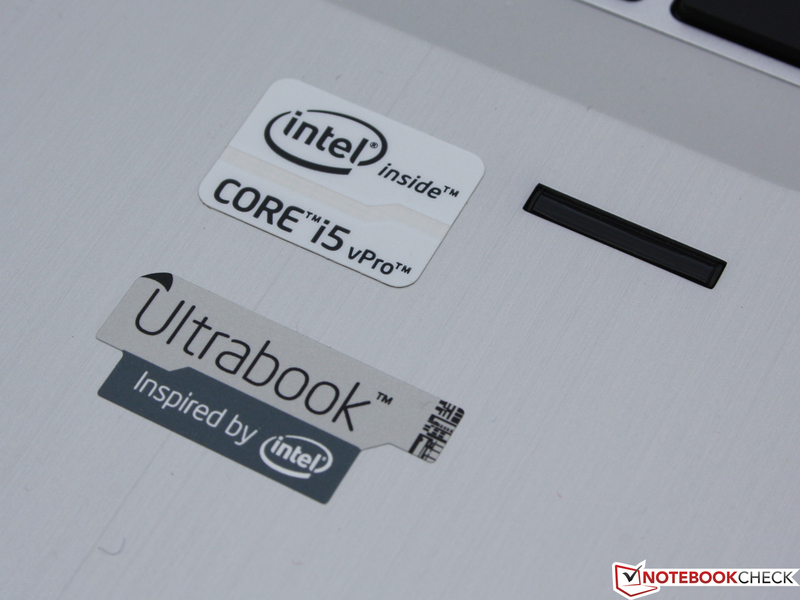 deactivation of Turbo Boost) is just not possible with consumer ultrabooks. The standard warranty period is just 12 months. That seems poor for this price range. However, the concept of optional care packs for business customers is the reason for that. Depending on the needs and requirements to the reliability up to 5 years on-site service can be chosen for the highest available protection. 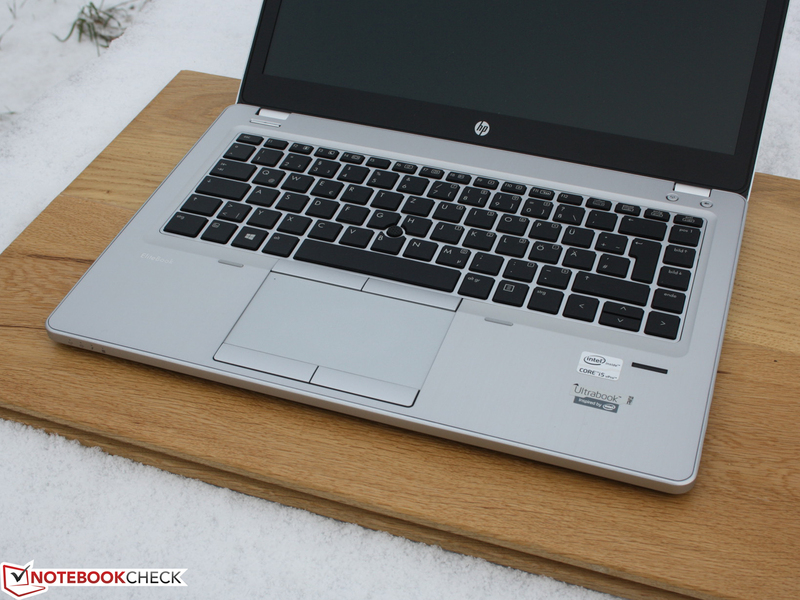 HP equips the 14-inch device with detached keys that rest in a 2 millimeter depression. In this way the keys and the surrounding end at the same height. The base of the keyboard is firm with the consequence of a strong and rigid stroke. The typing on this keyboard is not noiseless; there is a muffled clicking of medium sound intensity. The keys have no convex curvature and are completely flat as a result. The large layout uses the space of the 14-inch chassis and integrates the Page up/down keys on the right outside. The left and right arrow keys have normal size with the up and down keys cut in half. This seems to be a convenient arrangement of the arrow keys. The enter key is a bit narrow, the Shift and Ctrl key in contrast have normal dimensions for notebooks. Travel and pressure point are both equally distinct and give a good feedback during writing. However, the keys cannot reach the travel of a desktop keyboard. 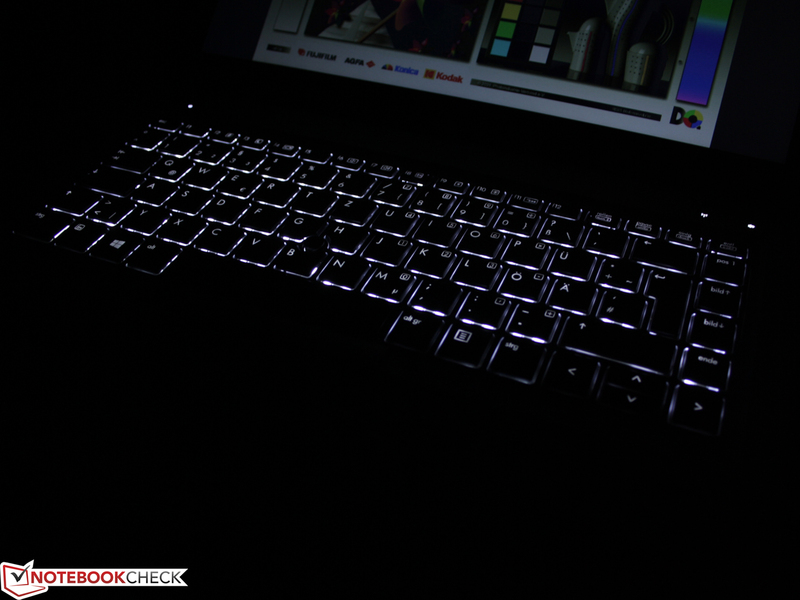 The keyboard has a three stage illumination that can also be turned off (Fn key). That way the brightness can be adjusted very accurately to one's needs. 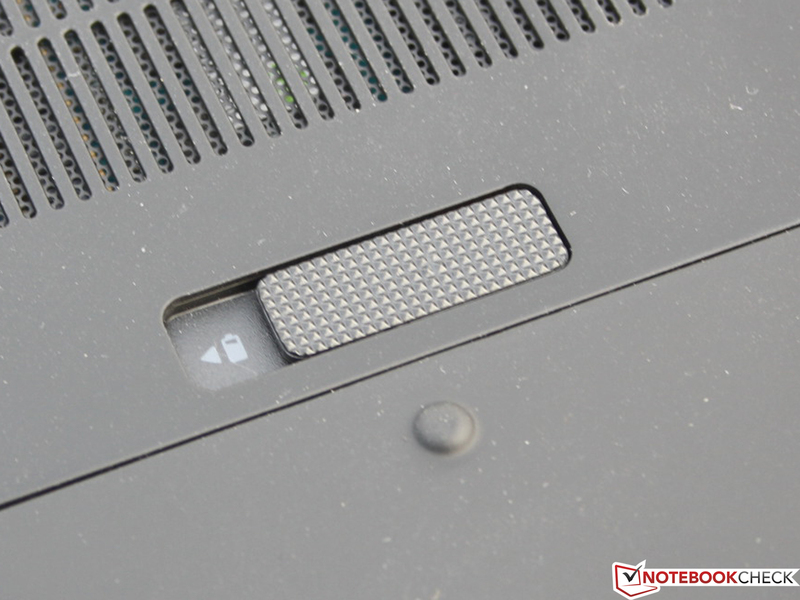 The Dual-Pointing concept consists of a touchpad and a pointing stick. This is mandatory for the business class of HP, Lenovo and Dell. From a technical standpoint we have four devices that can be adjusted separately, coordinated and deactivated (keys at the top, keys at the bottom, pointer and pad). That sounds complicated but it is very convenient. Users who do not like the pointer can just deactivate it. Same with the touchpad. This can even be rapidly deactivated with a double click to the sensor in the upper left corner (indicator-LED). The LuxPad V1.3 by Synaptics supports multi-touch gestures like scrolling, zooming or wiping to browse. Classical one finger scrollbars can still be configured. The pad has a smooth surface that differentiates from the blunt work environment. 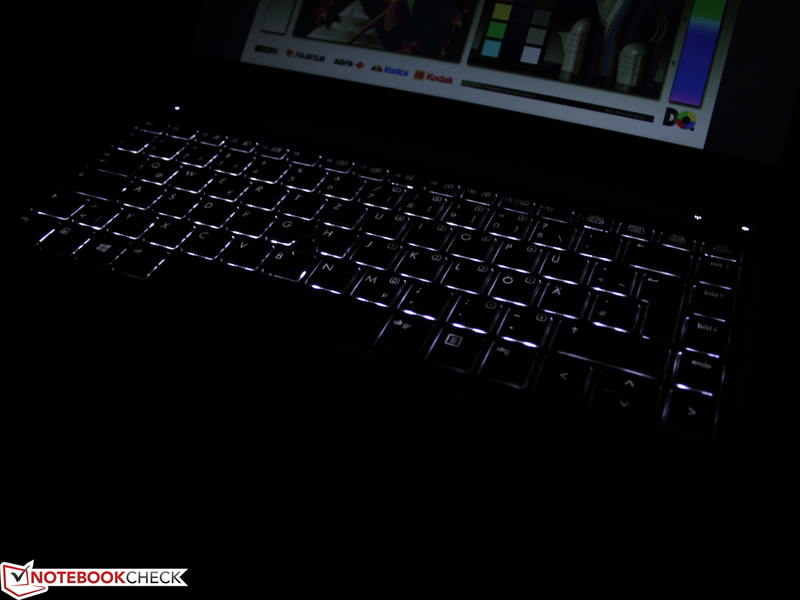 The sharp-edged indentation and the large keys make sure you cannot miss it even in darkness. We like the very large travel and the mobility of all four mouse buttons. Thanks to the clear pressure point and the muffled, quiet stroke we get a pleasant feedback. The competitors usually do not perform much worse with their input devices, but also not much better. We see differences especially with the pointers, the click pad mode and the convex curvature of the keys: Lenovo ThinkPad T430s (pointer, convex), ThinkPad T430u (pointer, convex, click pad), ThinkPad X1 Carbon (pointer, convex, click pad), Dell Latitude E6430s (pointer, convex), Latitude 6430u (pointer, convex). There are no pointers with consumer ultrabooks and the click pad has a distribution rate of 100%. 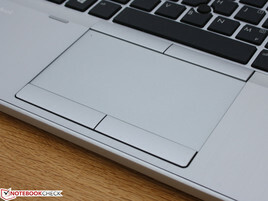 Convex keys are rare, for example with the Dell XPS 13 (Late 2012). 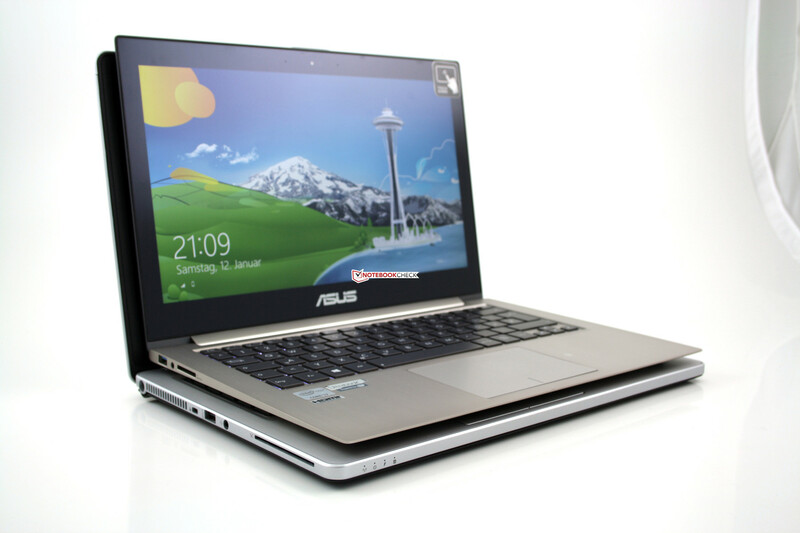 Zenbook Prime UX31A on the EliteBook Folio 9470m: more resolution, contrast and brightness with the Asus. 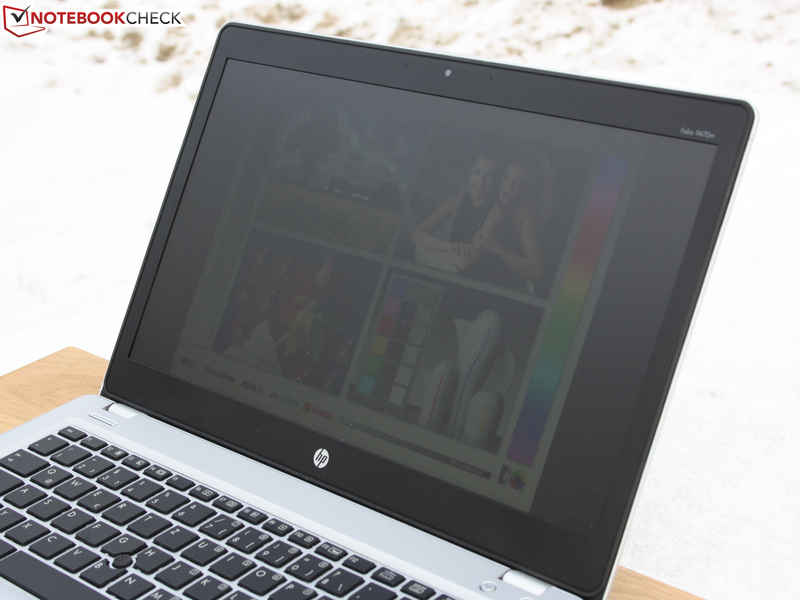 The 14-inch HD screen of the EliteBook Folio has a resolution of 1366x768 pixels (16:9). This low resolution, for which HP does not offer an alternative, can be a serious drawback if large Excel files, website back ends or software with fixed dimensions (data capturing, storage, ERP tools, SAP, MS Dynamics...) collide with the limited height. The result is annoying scrolling up and down. 1600x900 pixels (T430s, X1 Carbon, Samsung 900X3C, 900X4B) would be a good compromise, Full HD (UX31A) might be ideal for some users, but not for all. The latter is not available with the immediate business competition. What you can get is an anti-glare display panel. The Dell XPS 13 and the Apple MacBook Pro 13 are the exception with glare panels. The anti-glare avoids reflections but the contrast is low with 282:1. Despite the X1 Carbon all of the listed 14-inch professional devices suffer from a very low contrast. That results in pale colors and occasional weak contours. The often cheaper consumer devices partly offer significantly better panels (UX31A, Samsung 900X3C, 900X4B: IPS or PLS). Professional picture editors will already be disappointed with the HD panel but the sRGB color spectrum is far off and means the end to any ambitions. 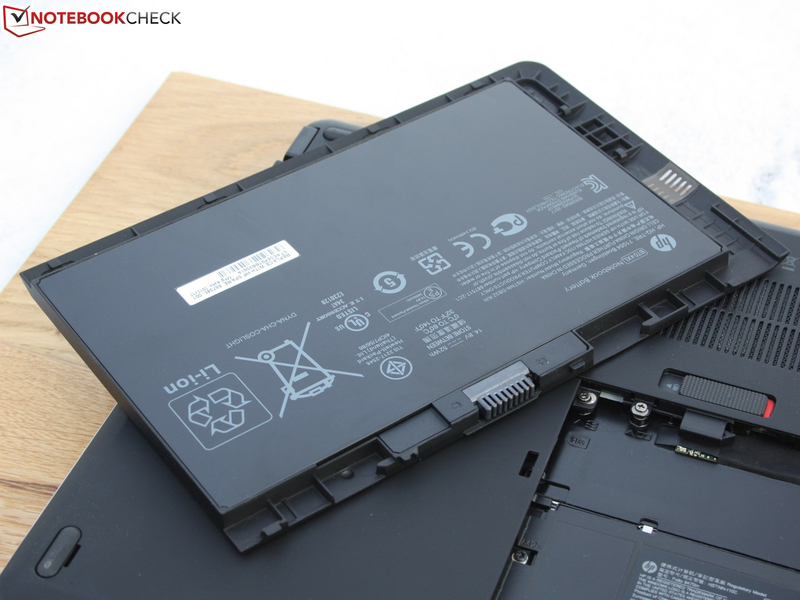 This does not necessarily apply to every device, as can be seen in picture three, which shows the ThinkPad X1 Carbon (HD+) in comparison with the Folio 9470m. 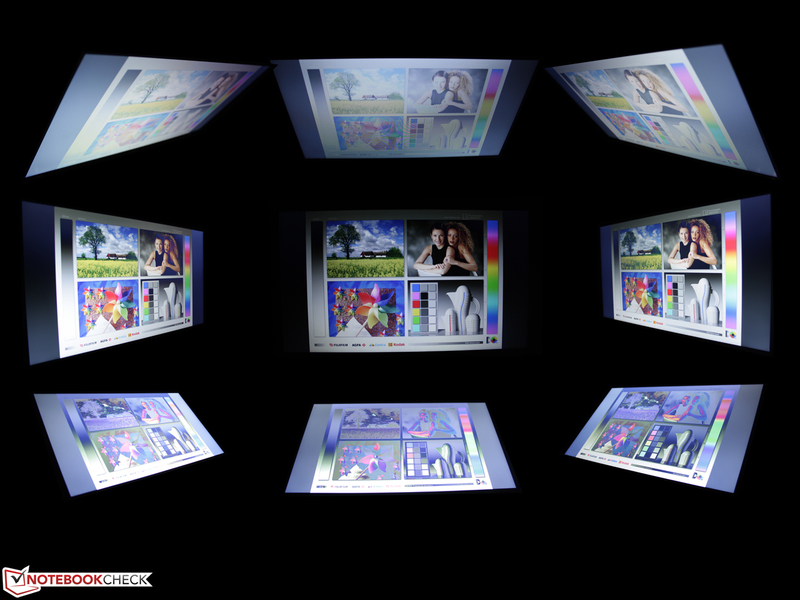 The three pictures at the bottom show the color analysis with the i1 Pro 2 photo spectrometer and CalMAN 5 software. We measured a noticeable weakness with the grayscale presentation in the manufacturer's default color profile. Especially medium shades of gray show a DeltaE (2000) of over 15 (average 16.35). After the calibration the DeltaE is reduced to 5.78 (average, see picture 4). Noticeable: with 8817 K the white point is clearly shifted in the blue area (too cool, better: IPS panel Asus UX31A 5500K). The calibration pushes back the blue cast (colors are getting visibly warmer) and sets the white point to 7427 K.
The brightness of the 14-inch screen with an average of 200 cd/m² is on the same level as its immediate competitors T430u and E6430s. The models T430s (251/280) and X1 Carbon (288/311) offer a better luminance, especially with battery use. Here, the screen only glows with 168 cd/m² (measure point: center). That is enough for carrying around in the office or on a plane. Under sunlight the situation changes. A perfect outdoor device should reach values between 250 and 300 cd/m². Unfortunately there is no way to override this forced setting. There is no ambient light sensor. 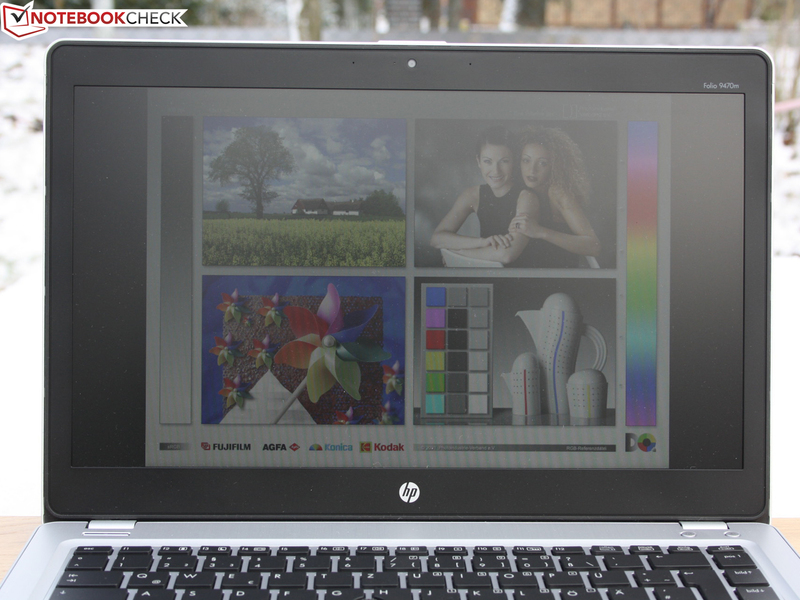 The low brightness has tradition at HP: the EliteBook 2170p (11.6-inch, 2012) glows with 160 cd/m², the 2560p (12.5-inch, 2011) was not better with 150 cd/m² (plugged in & battery). The 2570p (2012) continues the unfortunate tradition with 165 cd/m². The consequence for everyday use is illustrated on the following pictures: even on a cloudy day the brightness is not sufficient for a comfortable working experience on the desktop. Views from the side result in darkness. Regarding the viewing angles the Folio 9470m with its TN panel is as bad as the 11.6-inch screen of the 2170p. Both have the same narrow vertical and horizontal viewing angles like most of the competitors. Horizontally it still looks good until ghost images start to show up at 45 degrees. Up to 65 degrees the visibility of pictures and graphics is still quite okay. Almost all competitors of the business class are identically bad in this section. 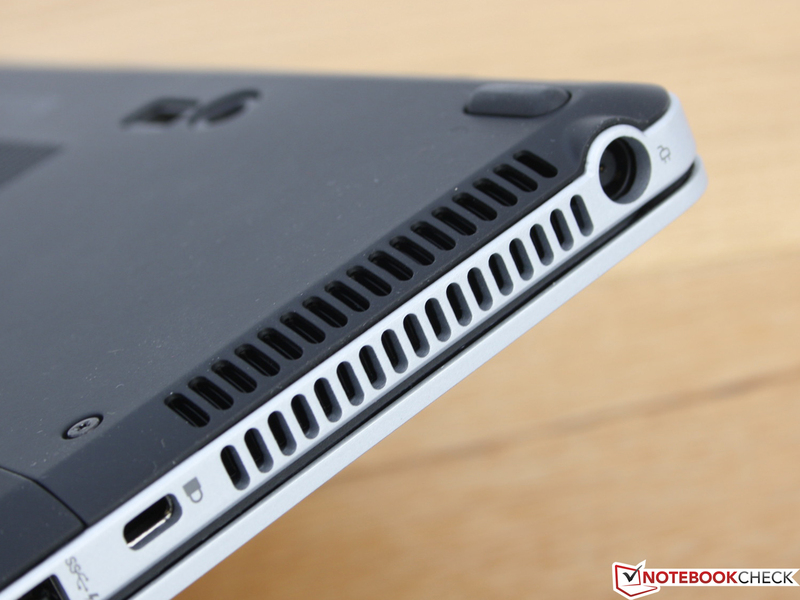 The exception is the X1 Carbon with an upper quality TN panel. It allows better horizontal and vertical viewing angles in the review. The viewing angle stability of IPS (UX31A) or PLS displays (Samsung Series 9 900X3C and 900X4C) cannot be reached by any of the compared devices. An IPS option would be the older and not listed ThinkPad X230 (very bright, 12.5-inch). It is still available for sale. 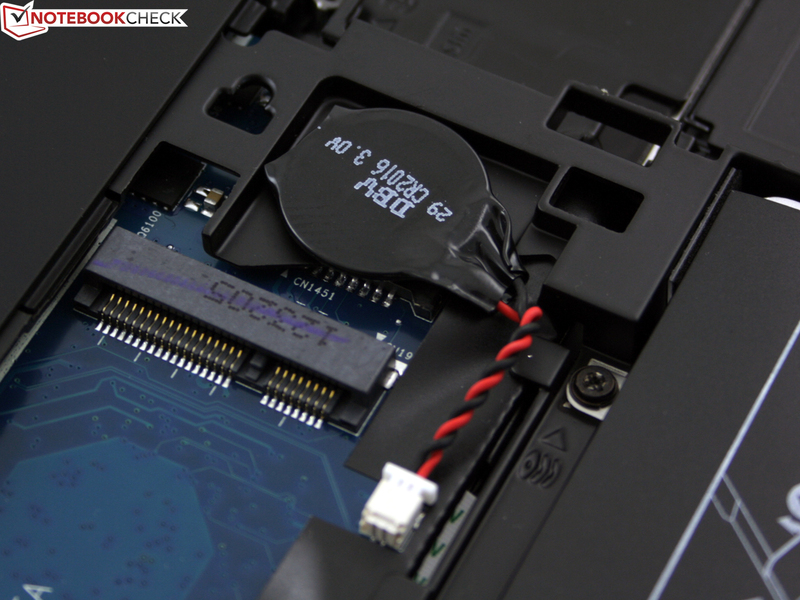 A 180 GB SSD works as mass storage in the 9470m (Intel SSD 520 Series SSDSC2BW180A3L, 2.5-inch SATA). This is the highest available expansion by the manufacturer (US: 256 GB). There is an empty mSATA port that can be used for storage expansion. In the BIOS this port can be activated or deactivated so we assume its functionality. The "cheaper" 9470m version (around 1370 Euros, ~$1844) only has a 500 GB hard drive. 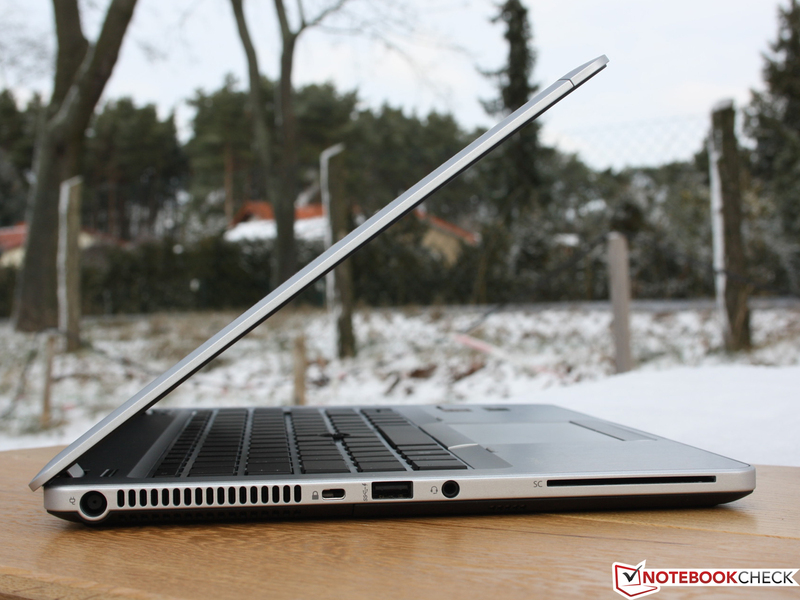 The i5-3427U is the only available option for the EliteBook (listed in Germany, in the US also with i3/i7). 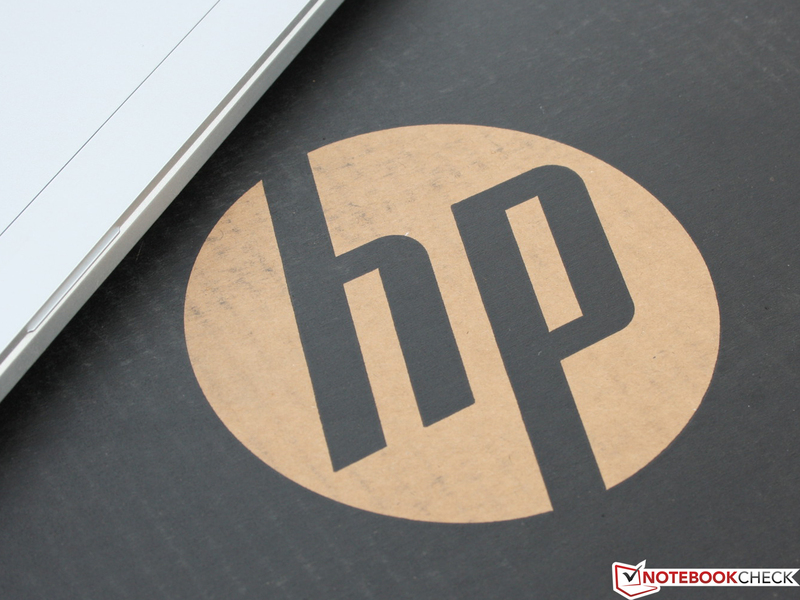 HP does not offer a Core i7. When looking at the Cinebench R11.5 CPU-multi-test it becomes evident why: the Samsung Series 9 900X3C (+2%) and the Dell XPS 13 (Late 2012) (+3%) with an i7-3517U are just slightly faster. Even systems equipped with a 3317U fall behind very little (-8%), so the weighing between the two spread i5 low voltage processors seems unnecessary. The situation changes with the ThinkPad T430s and Latitude E6430s, these 14-inch devices are equipped with standard voltage processors. That results in a performance advantage of up to 30% with Cinebench R11.5. The CPU turbo (up to 2.8 GHz) works very well. The clock was at a steady 2.6 GHz during testing and is clearly in the turbo boost area. The integrated HD 4000 graphics falls back behind similar processor GPUs (-16 to -42%). The reason is the single channel memory interface. It is not caused by the clock; it is 1150 MHz when running on power and on battery. The ThinkPad T430s (single channel) and Latitude E6430s show in the OpenGL chart that the HD 4000 in a standard voltage core i5 is not necessarily much faster than in a 3xxxU processor. All Cinebench R11.5 results were the same when running on battery. PCMark 7 and PC Mark Vantage look at the system performance in total. We test the Folio 9470m in its factory state with Windows 7, so the Windows 7 optimized Vantage works in this case. 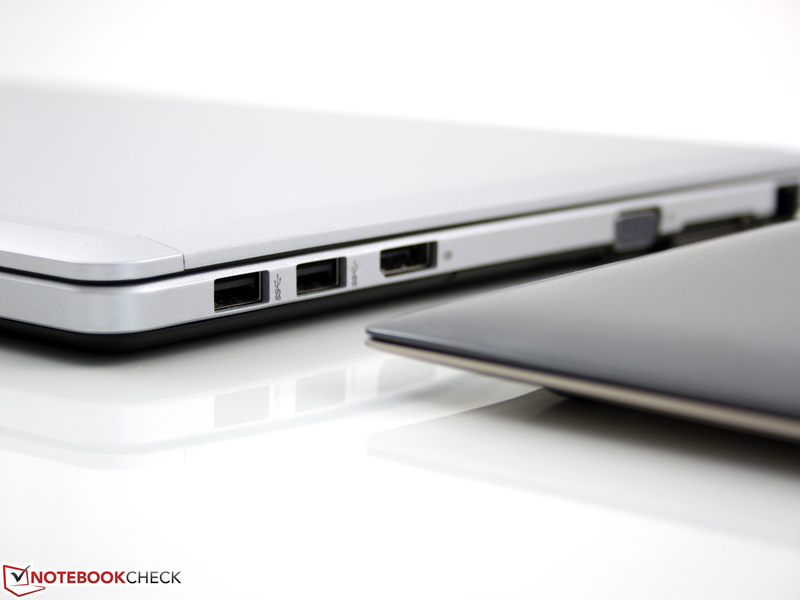 The result of 4,168 points can leave none of the compared devices behind but the EliteBook comes dangerously close to most competitors. 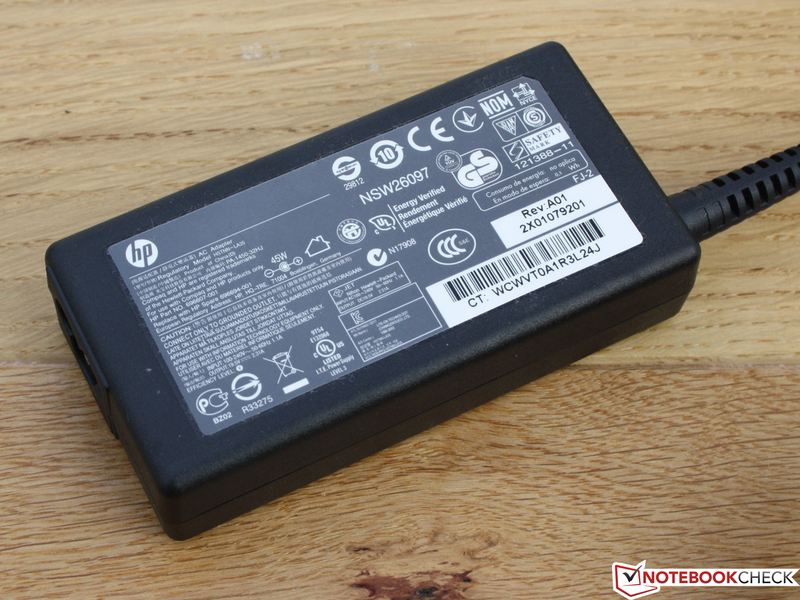 Performance geeks should pay attention to the Latitude E6430s. With its Samsung SSD PM830 and dual channel memory it is considerably faster and less expensive. The ThinkPad X1 Carbon, LifeBook U772 (14-inch) and Zenbook Prime UX31A are also faster with different Solid State Drives (Micron, ADATA, SanDisk). Is the Intel SSD 520 Series (SSDSC2BW180A3L, 180 GB) causing the bad results? No, with 443 MB/s (seq. read) and 19-22 MB/s in the 4K-Read-Test it can keep up with the fastest SSD competition. We see that in the storage scores of PCMark that is shown for the competitors. Except for the 900X4C-A04DE (-34%) and Apple MacBook Pro 13 (-21%) all systems are on the same level. For a purchase decision you do not have to make a sophisticated SSD comparison. However, if you still want to do that, have a look at our SSD-Benchmark list in the FAQ's. In the Processor section we already found out that the HD 4000 with single channel memory stays behind its potential capabilities. The 3D-benchmarks confirm that. HD 4000 notebooks with dual channel memory get more points: Dell XPS 13 (i7-3517U, +25%) Latitude E6430s (i5-3360M, +33%) ThinkPad X1 Carbon (i5-3427U, +17%). Exception is the ThinkPad T430u (i5-3317U, +65%) with the dedicated GeForce GT 620M. 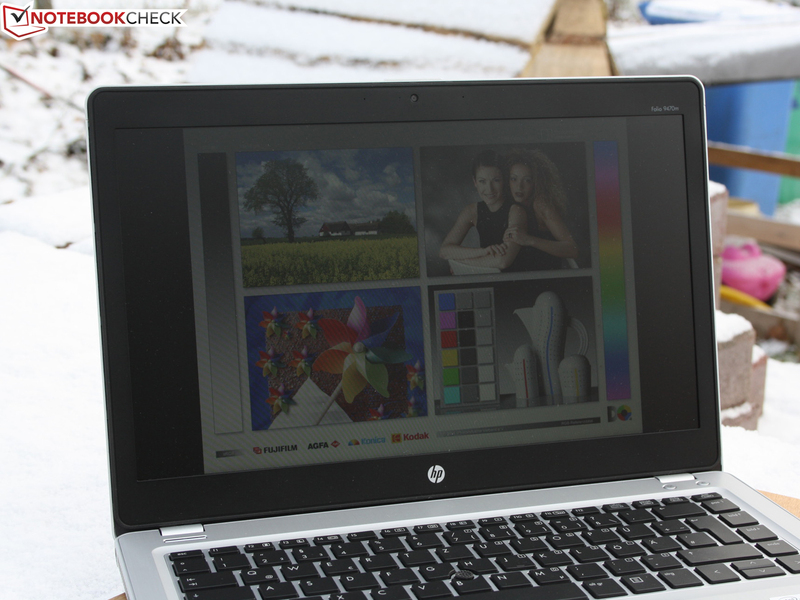 Gaming is not the most important task for a business notebook, especially without dedicated graphics. But it is a part of our standard procedure to test the latest games. The result is underwhelming and it does not surprise us. None of the three tested games run smoothly even on the lowest settings. Faster HD 4000 graphics produce only slightly more fps, with Sleeping Dogs this is actually enough for a smooth 31 fps (i5-3360M, low details). Risen 2 and Hitman are not playable even with the fastest Intel graphics. The ThinkPad T430U (GT 620M) can achieve a higher score in this regard, latest games are usually playable with medium details. We did not like the continuous activity of the fan. When the device is plugged in and even during long idle periods it remains constantly audible at 33 dB(A). Because of the steady rotation this does not necessarily disturb. However, this level seems to be unnecessary. When we cut the power the cooling becomes silent for a longer period. The reason for this is the BIOS setting "Fan always on when AC" that can be deactivated. Under load, like in our stress test with Prime 95 and Furmark, the cooling system gets up to 38 dB(A) within a very short period. During 3DMark 2006 we also measure 38 dB(A). The fan is rotating constantly and switches very smoothly between different rotation speeds. When idling, the Folio 9470m remains cool at the keyboard and the palm rest. The bottom and the keys only get slightly warmer. With continuous load the temperatures rise quickly, especially at some hot spots on the bottom. Even then the Folio can be used on the lap since the biggest hot spots are at the center. During several hours of extreme testing we check the clock of the processor for thermal throttling. There are no problems. Although the turbo, which is always active during CPU tests, cannot be activated, the base clock of 1.8 GHz is never reduced. The forced turbo deactivation has almost no impact on everyday use since it only occurs with the simultaneous use of Prime 95 and Furmark. As soon as the graphics stress test is finished, the clock rises to 2.6 GHz again. The following 3DMark 06 result is identical to the result after a cold start. The Folio 9470m has two inconspicuous speakers on the right and left side. The speaker openings are directed downwards. While carrying (covered with the hands), on the table or on the lap the sound consequently changes. The acoustics are strongly focused on the middles, the trebles are almost shrilling. At the highest volume the small speakers produce distortions. They are not recommended for music or movies. 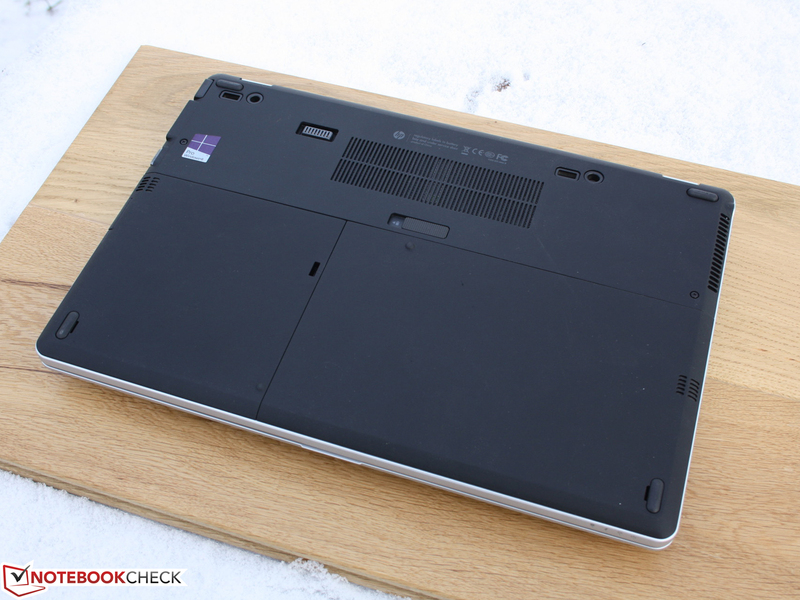 The measurements show a typical frugal ultrabook. 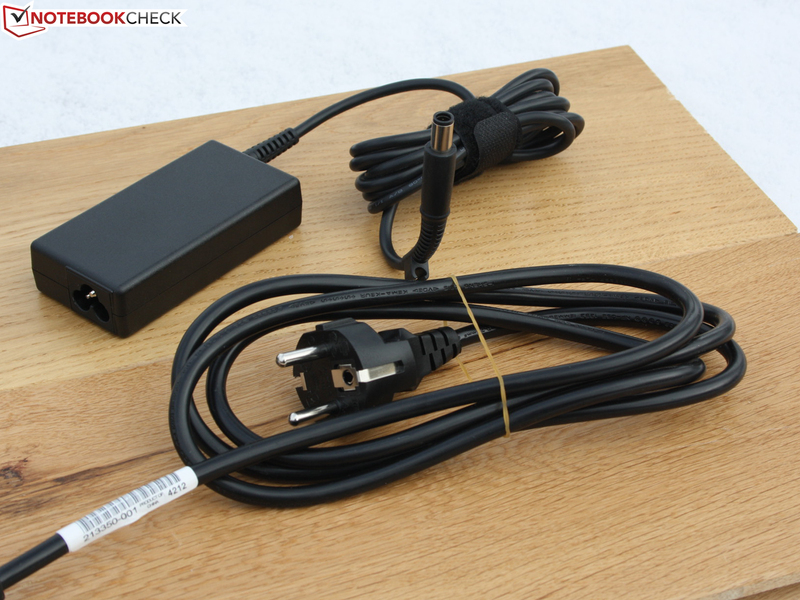 We measure 7 to 11 Watts during idle, which is dependent on the display brightness, the energy saving mode, the WLAN and the keyboard illumination. Under load, in this case our stress test, the Folio 9470m uses 36 Watts. Except for the ThinkPad T430u ultrabook with dedicated graphics almost all low voltage systems have a similar idle/load consumption: Lenovo ThinkPad Carbon (3-10; 39), ThinkPad T430u (7-11; 42, GT 620M), Asus Zenbook Prime UX31A (4-10; 36), Samsung Series 9 900X3C-A04DE (5-11; 38), Apple MacBook Air 13 Mid 2012 (5-10; 30). The runtimes are the great strength of the Folio 9470m, what a shame that the 14-inch device is handicapped with its dark screen. It has a removable 52 Wh lithium-ion battery. Overnight we started the idle test in which the device displays a text file with minimal brightness, deactivated wireless connections and activated energy saving mode. By the next morning the Folio was still running and only after 11:34 hours (694 minutes) did the battery die. Closer to reality is the WLAN-test that refreshes a web page via script with the brightness adjusted to 150 cd/m². It also includes watching videos. Only after 7:39 hours (459 minutes) did the battery run out of power. The 14-inch competitors can't offer such long WLAN runtimes: Lenovo ThinkPad T430s (44 Wh, 180 minutes), ThinkPad T430u (47 Wh, 205), ThinkPad X1 Carbon (45 Wh, 360), Dell Latitude E6430s (65 Wh, 334), Asus Zenbook Prime UX31A (50 Wh, 282). But that is not the end. 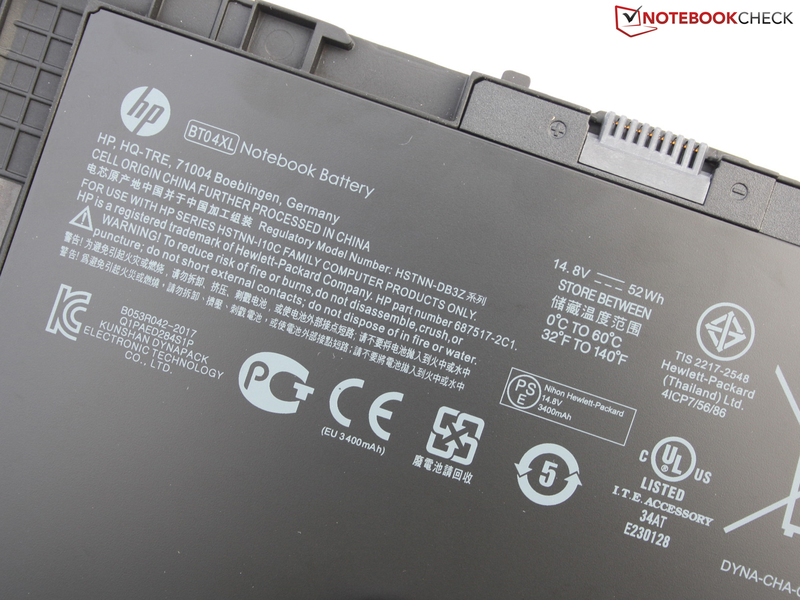 With the slice battery (2nd Long Life Battery HP BA06 6-cell 5400 mAh), which is attached to the bottom of the Folio 9470m, the runtime is noticeably increased. Because the slice battery has 5400 instead of 3400 mAh (or 60 Wh instead of 52 Wh) we expect no less than twice the runtime. We could not find any dealer offers for the Long Life Battery. The price will likely be at around 200 Euros (~$268). 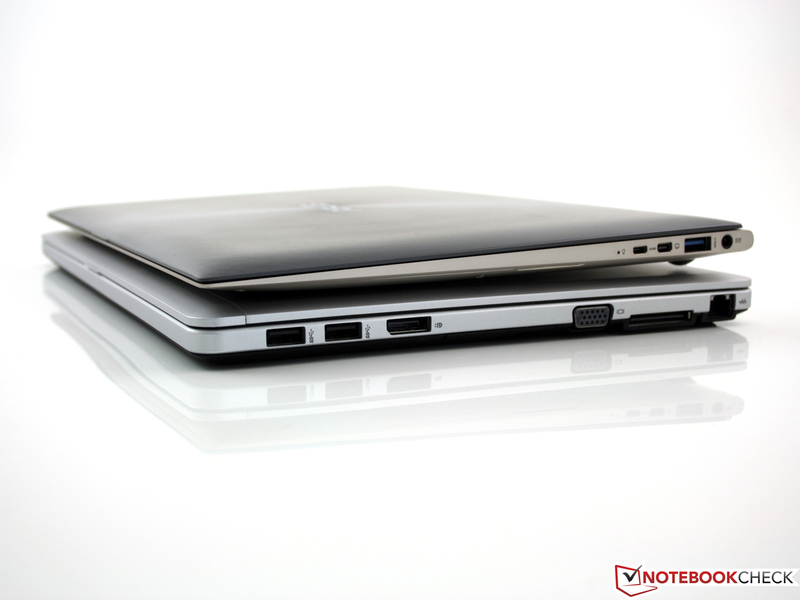 On paper the 14-inch EliteBook Folio 9470m offers a lot of notebook for a lot of money. With the case, input devices, ports, performance and runtime HP fulfills the high expectations that come with a price of 1550 Euros (~$2083). For this money you can almost get an X1 Carbon (1740 Euros, ~$2339). The Dell Latitude E6430s with similar specs is less expensive (~1200 Euros, ~$1612), a ThinkPad T430u is less than 1050 Euros (~$1410) and the T430s costs 1500 Euros (~$2015) with similar specs. The performance of the Intel 520 SSD (180 GB) and the Core i5 is without doubt very good, but it does not justify the high price. The Zenbook UX31A, Dell XPS 13 and Apple MacBook Pro 13 offer the same for less or similar money. 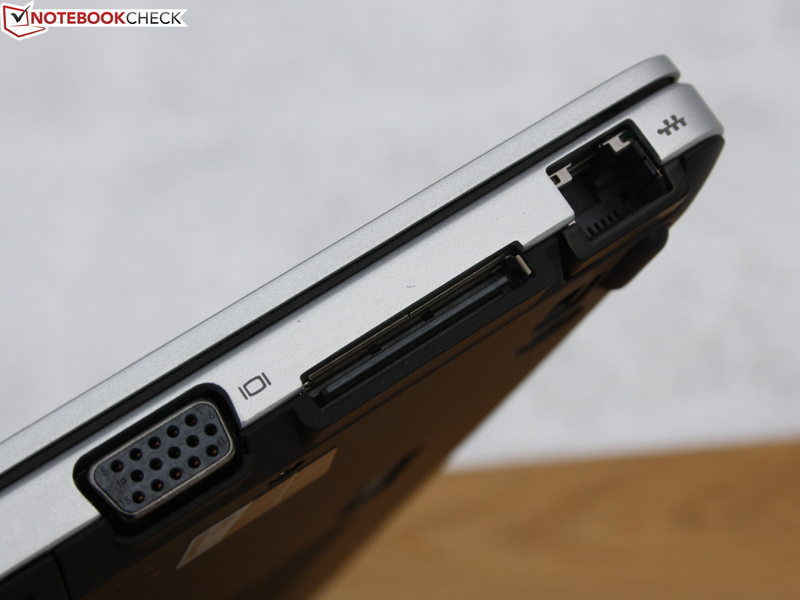 The EliteBook can stand out from the crowd with numerous ports: a SmartCard reader, docking port, battery-slice port and DisplayPort next to VGA are the highlights. Unfortunately the 3G-modem does not come as standard, our review sample only has the preparation (antennas, SIM card slot, mini PCI Express slot). 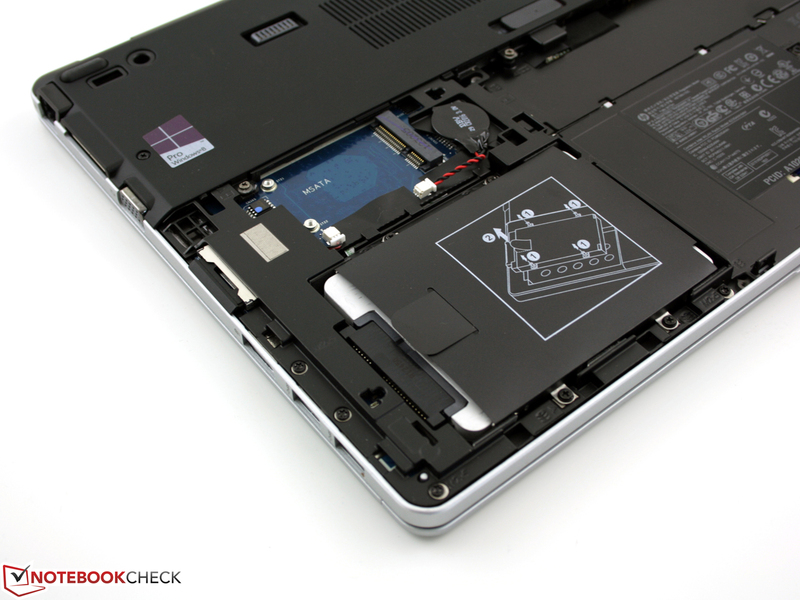 Maintenance and replacement of components is unrivaled for ultrabooks. 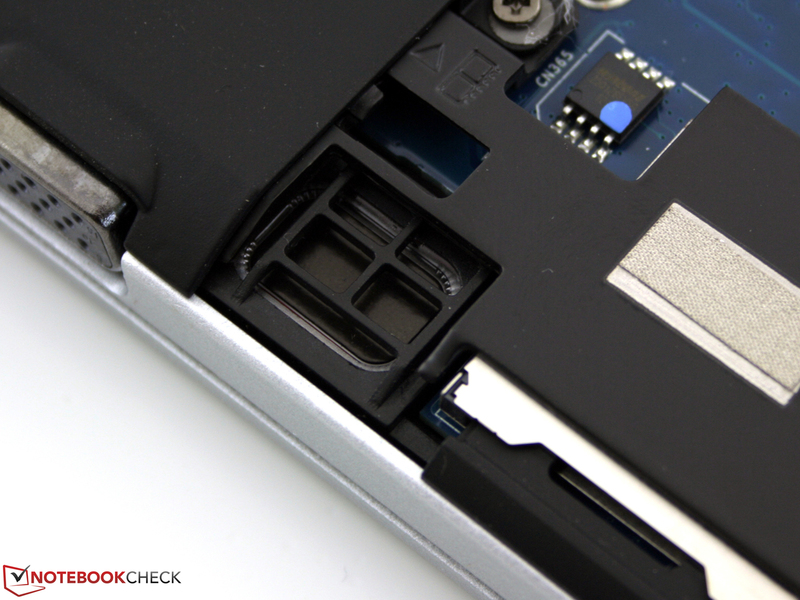 The battery can be removed and the empty mSATA slot can be upgraded with a second SSD. The fan can be cleaned easily. 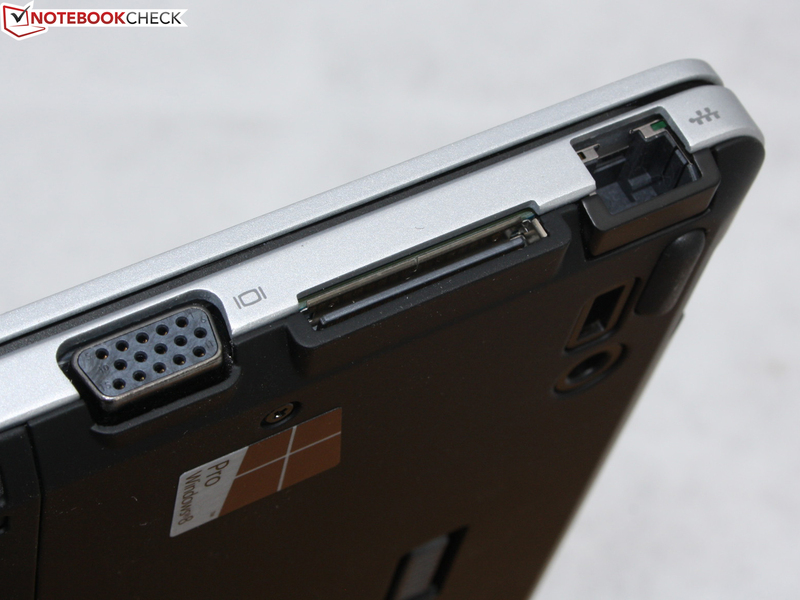 Only the bigger and heavier Latitude E6430s with Expresscard34 and eSATA can surpass this port variety. 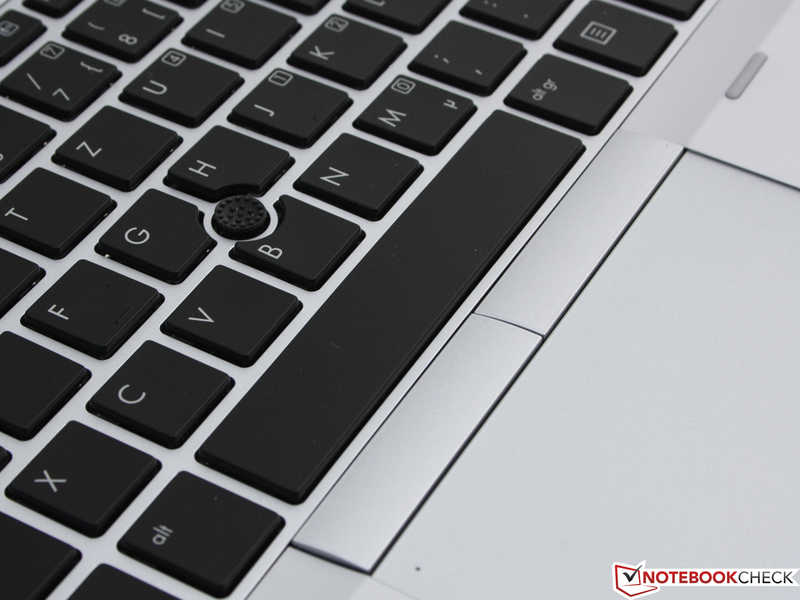 The input devices of the EliteBook are almost perfect. Sufficient travel, strong stroke and catchy keys allow very comfortable typing. 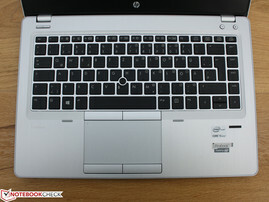 The keyboard is accompanied by the typical EliteBook Dual-Pointing Device consisting of pointer and touchpad. The flexible rubberized buttons give very good feedback. After this praise the criticism is serious. While the Folio 9470m reaches very good ratings in almost all important areas (except exhaust heat), the low quality HD-display prevents a very good final rating. There is no alternative for the low standard resolution of 1366x768 pixels on the 9470m. The worst part is the reduced brightness with battery use that almost completely prevents productive work outdoors. Even on a cloudy day the display is too dark. 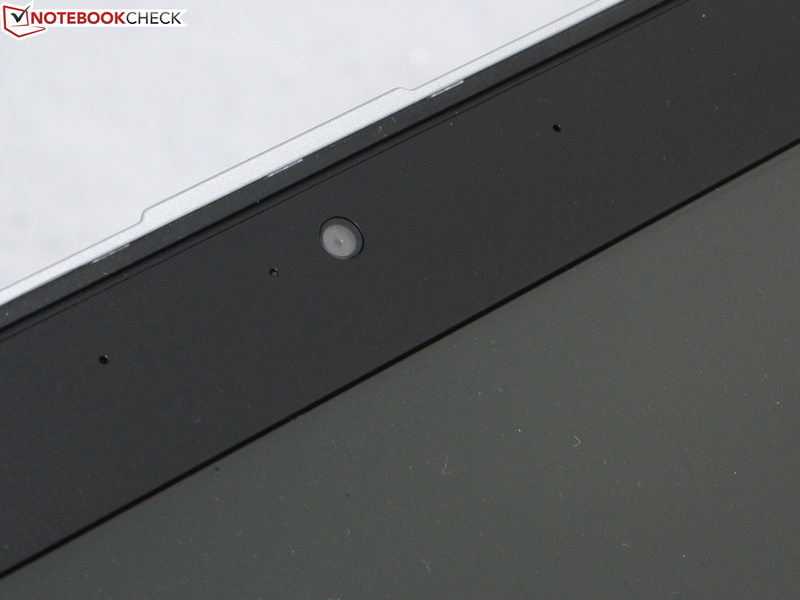 The narrow viewing angles and pale colors of the TN panel are miles away from the IPS competition. The competitors are only superior if we consider the Zenbook Prime UX31A, X1 Carbon, Dell XPS 13 and Samsung 900X3. The T430u and Latitude E6430s have just slightly brighter displays; contrast and viewing angles are similarly bad. The upcoming Dell Latitude 6430u ultrabook can be equipped with an HD or HD+ display but nothing can be said about the quality yet. If you are interested you should not rely on a BIOS update for increased brightness. The low luminance has tradition with the smallest EliteBooks. The last candidate was the 11.6-inch 2170p. We deduct 10% from the display rating and our impression drops down to 80%. 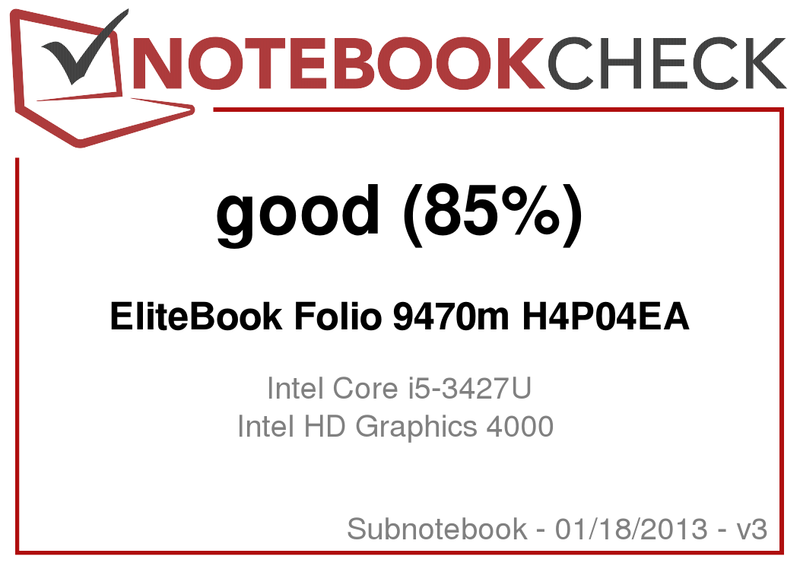 HP EliteBook Folio 9470m: Not elitist-thin like the Asus Zenbook Prime UX31A, but with top-notch build quality and better port variety. Unfortunately the HD display is miles away from the upper class ambitions. The third DVD contains system applications and tools. The CMOS-battery keeps the BIOS settings when there is no power. Here are the tiny speakers. Nice detail: the screw connection is secured with a spring, nothing gets lost. HDD, mSATA port (empty slot) and CMOS-battery are exposed separately. After the removal of the battery other components can be seen. Runtimes of almost 8 hours are possible for realistic scenarios (WLAN-test). The integrated yet removable battery has a capacity of 52 Wh. The last cover can be removed after loosening some screws. Now the WLAN module is exposed. One RAM slot is empty. 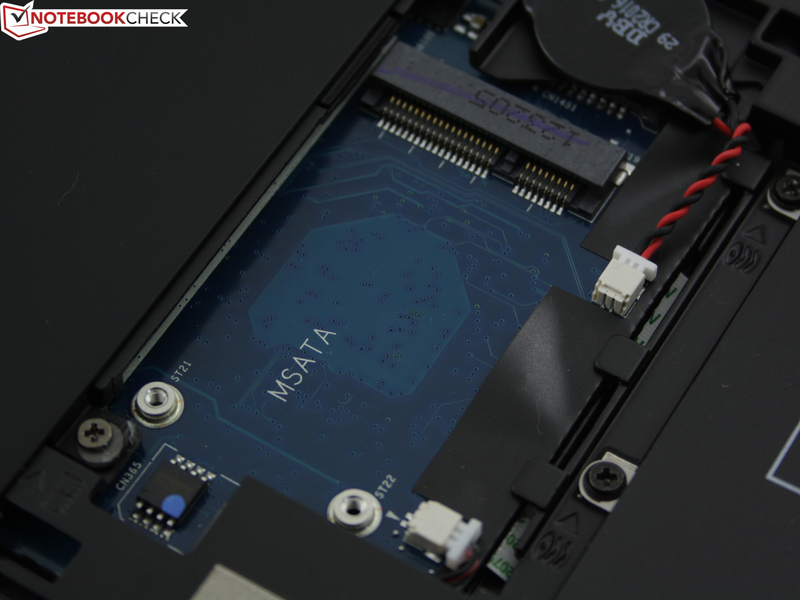 The empty mSATA slot can, for example, be used for a second SSD. as well as Windows 7 and Windows 8 DVDs. With a weight of only 365 grams (incl. cord!) it is very handy. The small power supply unit delivers 45 Watts. 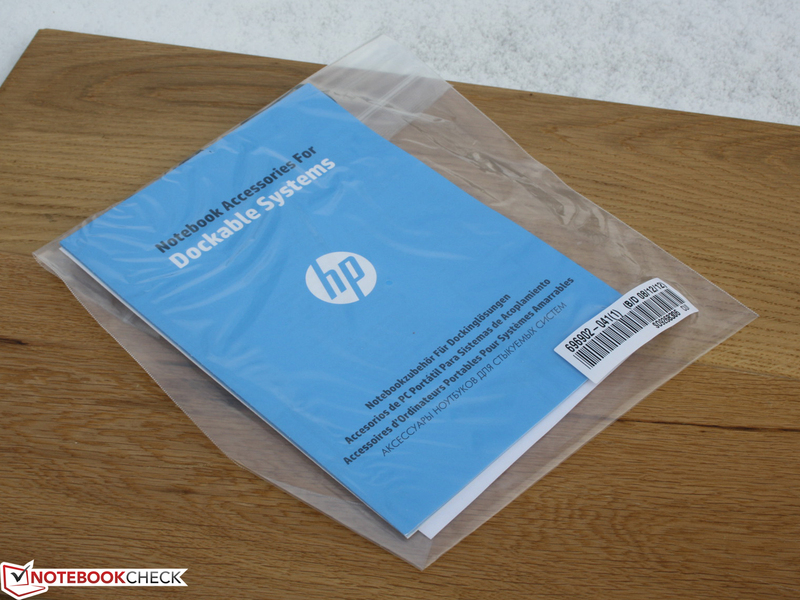 The HP Folio 9470m comes in a simple box like every other notebook. In contrast to the premium-consumer ultrabooks. 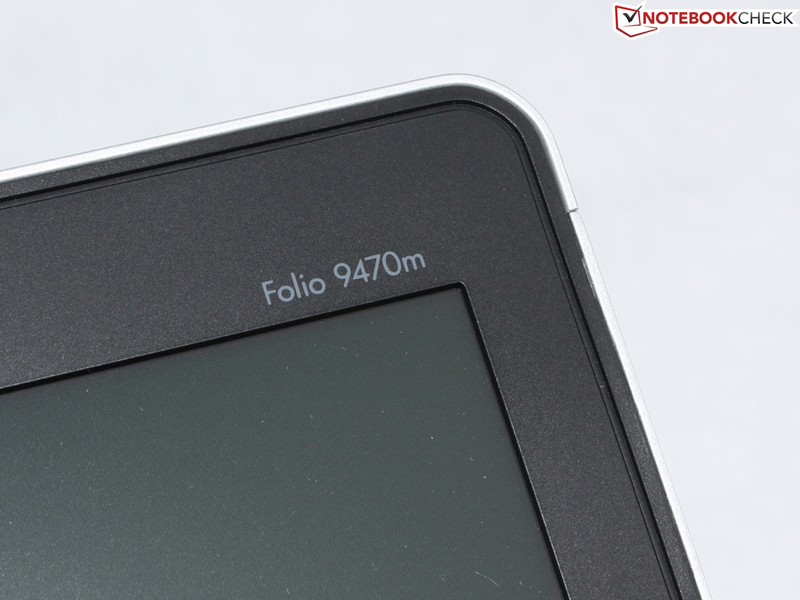 However, the Folio 9470m does not stand up in comparison with a unibody. The high stability of the base is remarkable – despite individual components. 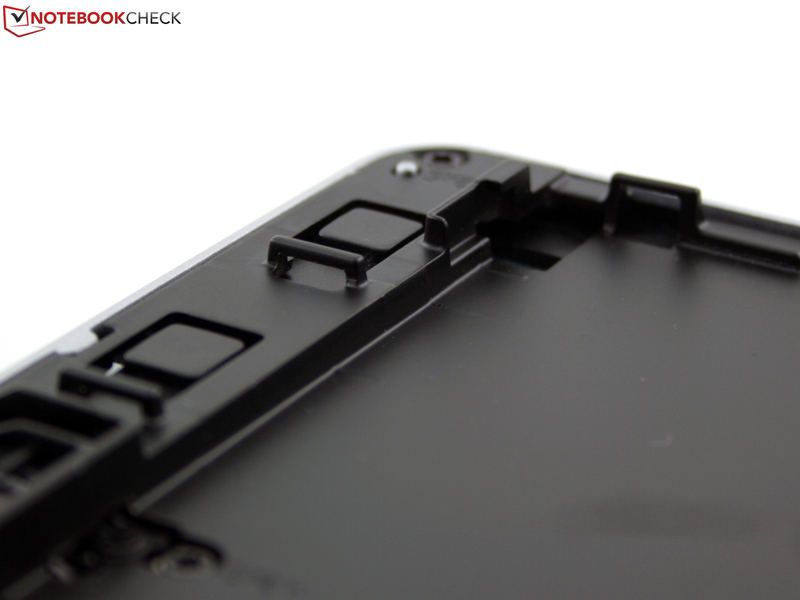 The antennas and the SIM card slot (battery bay) are already installed. Next to the WLAN module is a second mini PCI Express port that can take the UMTS module. The fan is behind this cover. The slice battery with a capacity of 60 Wh can be attached to the bottom. The buttons are decent and small. are available at many dealers. The announcement was back in May 2012 but it was not available until the end of last year. a thin business device as well. They indicate activity but glow discreetly. Compared to the consumer Asus Zenbook UX31A the Folio is thick and beefy. In return it offers many ports. 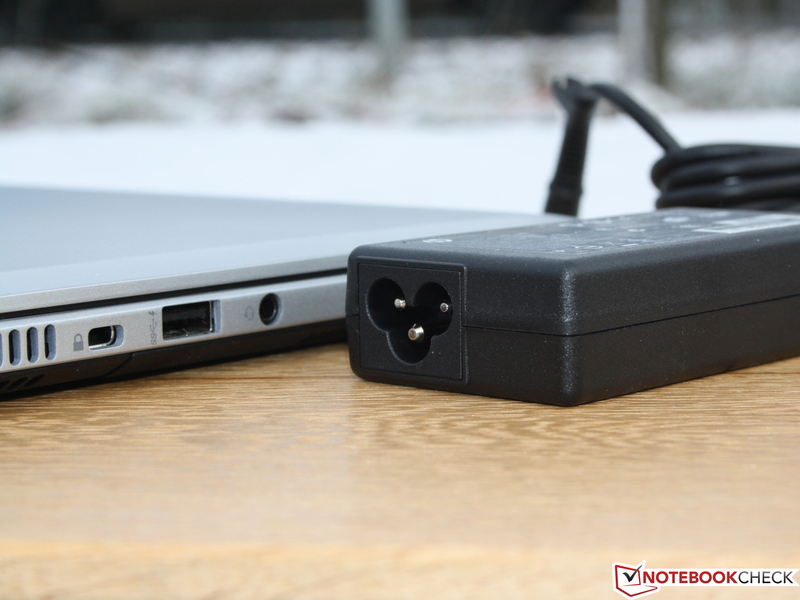 The premium-consumer ultrabooks waive it or replace it with mini-VGA. Even the large VGA D-Sub port can be found. The user is lucky, no adaptors or new cables are necessary. There are no mini or micro versions. The 24 millimeter high chassis integrates standard ports. It is very convenient in dark environments. It can be adjusted in three steps or turned off completely. 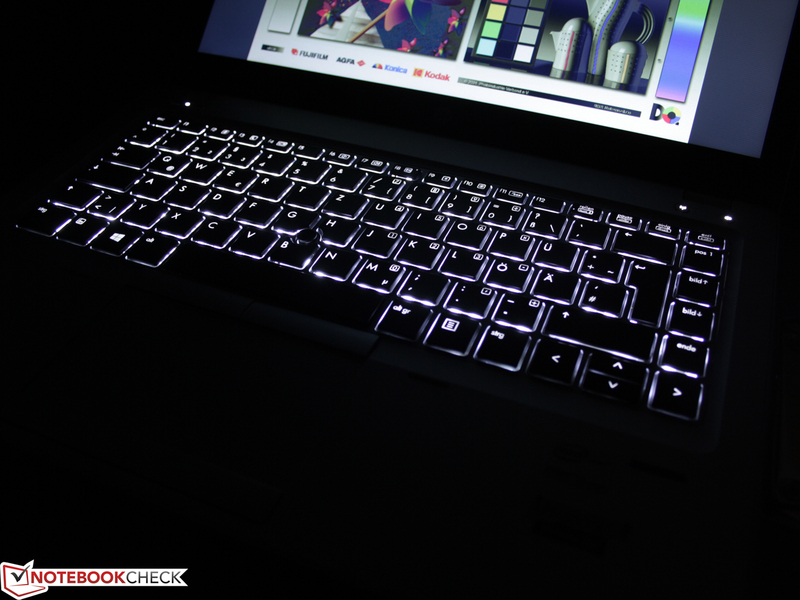 The EliteBook-style backlit keyboard is not missed out with the Folio. No consumer ultrabook can offer this variety. Docking port, SmartCard reader, VGA D-Sub and DisplayPort. - Standard setting "Fan Always On When AC"
Very good illuminated input devices for frequent writers. Very quiet when running on battery and reasonably cool under normal load. 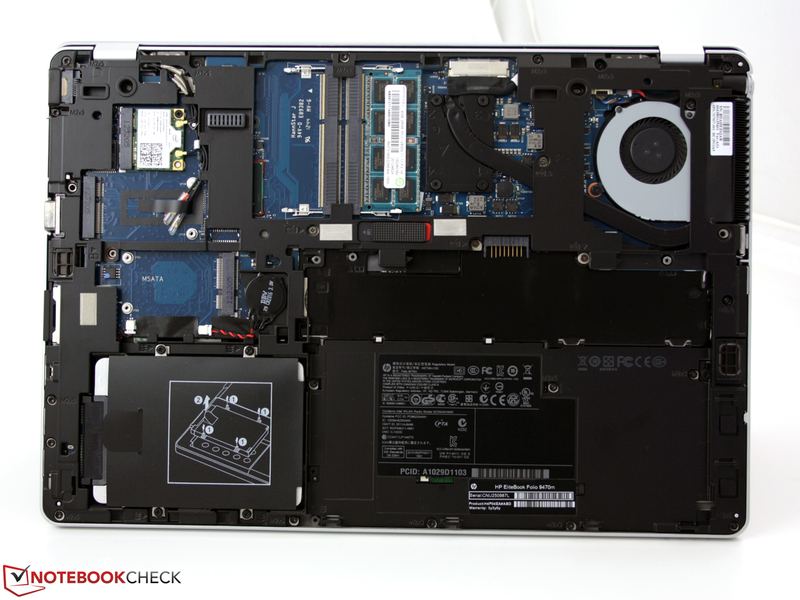 Full i5-performance without throttling, supported by a blazing fast Intel 520 Series SSD. The low contrast and the HD resolution are small deficits. The Asus Zenbook UX31A shows off with Full HD, but the business user also needs readability and does not only want to watch 1080p movies. Why the manufacturer repeatedly reduces the brightness. This decision should be made by the user.